Traveling day has come upon us once again! After a late night of packing and cleaning, all 28 of us were up and ready to leave C2K at 6:00 a.m. Even though we were in close quarters at time, it was hard to leave our new home. C2K played a large part in bringing our group closer. Many memories were created there, whether we were playing friendly games on the basketball court, card games in the common area, or just relaxing in bunks. Additionally, we never went hungry. Jill was such an amazing cook, she even baked muffins for our early morning! Now that our Alternative Spring Break has come to an end, I think it’s time to give credit where it’s due. To the advisors: Sarah, Ashley, Fred, and Adam- we can not thank you enough for everything you have done this past week. Navigating through a new city with a van full of college students is no easy task, and you all did it with a smile everyday for the past week. Thank you so much for your flexibility, patience, and bubbly personalities. This trip could not have been as great without you. To Paul and Amanda, this trip would not have happened without you, it’s as simple as that. You two are some of the nicest and self-less people I have had the pleasure to work with. All the hard work and planning you guys put into this trip really showed. Everything was wonderful, and we could not have asked for better people to lead us this week. Thank you! As for the rest of the group, thank you for your unwavering service this past week. 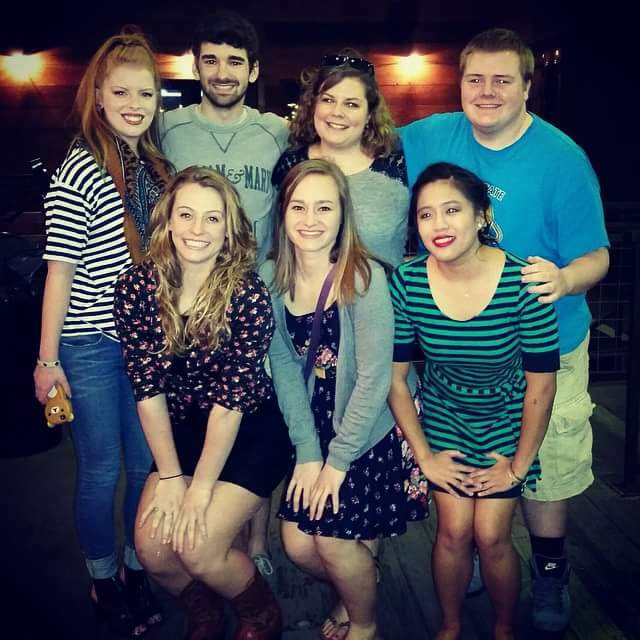 E-board could not have asked for a better group of people for this journey. You are all amazingly unique people, and it was a pleasure to get to know you. Finally, to all our supporters, I hope you have enjoyed being on this adventure. You gave us the chance to help others, learn about ourselves, and make memories in the process. We are forever grateful, and hope you are as excited for ASB 2016 as we are! We knew this day would come, but we didn’t expected it to be this soon: It’s our last day in Dallas. 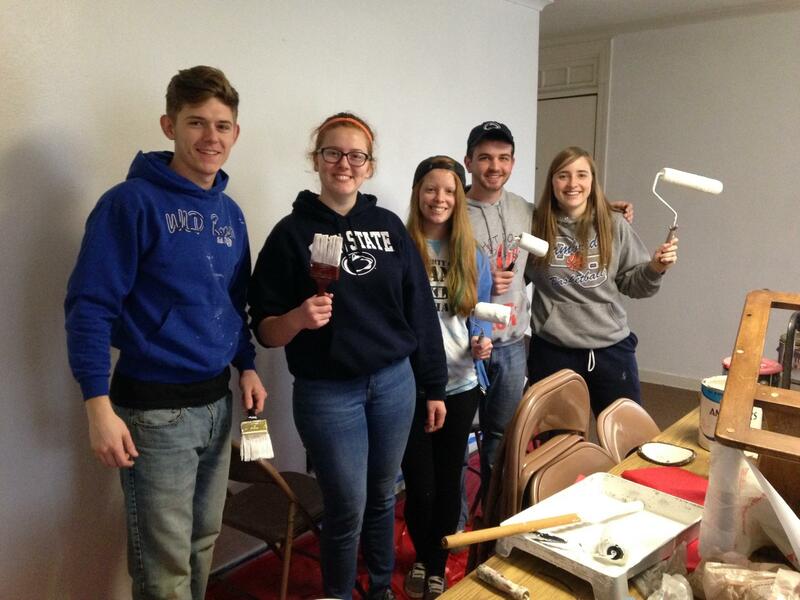 We had our final work day at Cockrell Hill Methodist Church, and focused our attention on the youth center. Together we finished painting, cleaning, and scrubbing carpets in the interior. Then on the outside, we continued to paint the trim around the windows, and applied a base coat to the side and back of the house. The plan is for another group to come and finish where we left off. Toward the end of the work day, overwhelming feelings could be felt within the group. We were slightly tired after a long day of work, excited about getting back to C2K to begin our evening activities, and proud of all the work we were able to accomplish over these last few days. It was so amazing to walk through the youth center and witness the transformation that had taken place or sit inside the sanctuary, which now appears to sparkle after new lights and paint! Above all else, we felt grateful. We are thankful for Pablo and Joe and the wisdom they passed along these past couple days, the supply runs they made to Home Depot, the helping hands they lent when we needed them, and for allowing us to come down and work with them. They are truly amazing people, and we only hope to one day see them both again! We are also grateful for the congregation of Cockrell Hill. Including the wonderful women who made us homemade Mexican food everyday for lunch, and all the members we got a chance to meet. They were so appreciative of everything we had done, and would always find a way to show it, even with just a smile. We’re also thankful for the DJ who brought tunes to our Fiesta today and gave us the chance to laugh and dance with our new friends from the church! We are so humbled for the chance to help you all out, and wish you the best with everything! After our work day, we went for one last dinner and dessert as a group, before coming back to C2K to clean and pack. Tomorrow will be bittersweet as we make the long journey back to Erie. The best way I can think of to end our Last Work Day post is with the quote of the week. Not even the rain could stop ASB on our first work day! We got up at 7:30 a.m. and were treated to a traditional Spanish breakfast provided by C2K. We then left to go meet Pastor Pablo and Pastor Joe of Cockrell Hill Methodist Church, who knew that the way to our hearts was through our stomachs. So to start our work day, we indulged in coffee and pan dulce’! It wasn’t long until the church was flooding with activity! One group did an outstanding job cleaning and organizing the reading nook choir room. Another group built scaffolding to replace light bulbs in the front of the sanctuary. The new lights coupled with a fresh coat of white paint provided by our third group, really brightened up the place! And finally, our fourth group was working on cleaning a building adjacent to the church which they plan to use as a youth group center. Our work today was rewarding, fun, and brought us closer as a group. However, it was the people we met who really made the day special. Pablo is always quick to share a funny and inspiring story. Joe isn’t afraid of getting his hands dirty and would often jump in and help out. Other members of the church also stopped by to meet us, including a few wonderful women who drove an hour to make us lunch and deliver desserts! After returning to the C2K housing, we were treated to some home-cooked lasagna and garlic bread for dinner. Then we reflected on the highs of the day and made a ‘web’ of connections to bring our group closer. And if the day was crazy enough, we ended it with a volleyball tournament between the vans. Things got pretty competitive, but it was all in good fun, and the winning van was “Betty White,” led by advisor Sarah and President Paul! It has been a terrific Monday, and we look forward to sunny skies and more work days ahead! After seven hours and nearly 1,300 miles, our crew finally made it to Dallas. 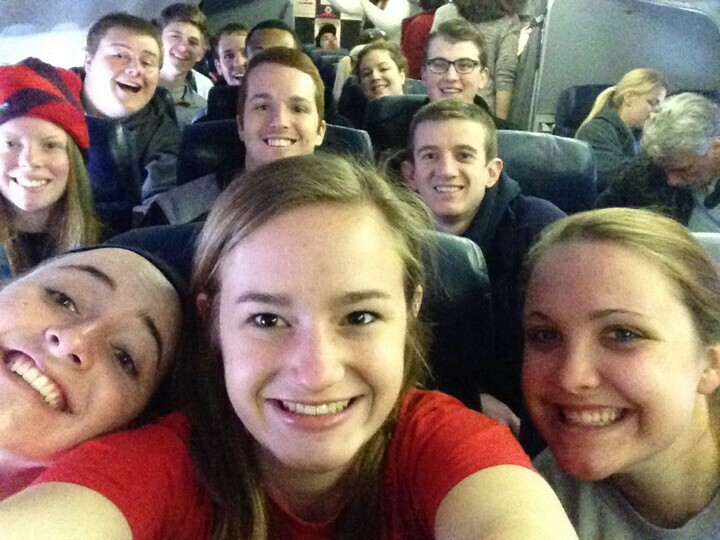 Although the journey may have been long, it was fun, safe, and most importantly, we landed in sunny 60-degree weather. After claiming bunks and getting situated in our living quarters, we toured the C2K campus. Our main building includes the bunk rooms, a common area big enough to fit all of twenty-eight of us, and a kitchen where the amazing Jill cooked us a home-cooked dinner. Their church right across the street has one of the largest organs in Texas, a youth room, a full sized basketball court, and a beautiful roof top view of Dallas! Everyone has been so welcoming, and C2K already feels like home! As a way to kickoff the week and get to know the group better, we made inspirational origami fortune cookies! At the start of each work day, we will all pick out an origami cookie and see what inspirational quotes our fellow group members wrote for us. Tomorrow, we will have our cultural day! 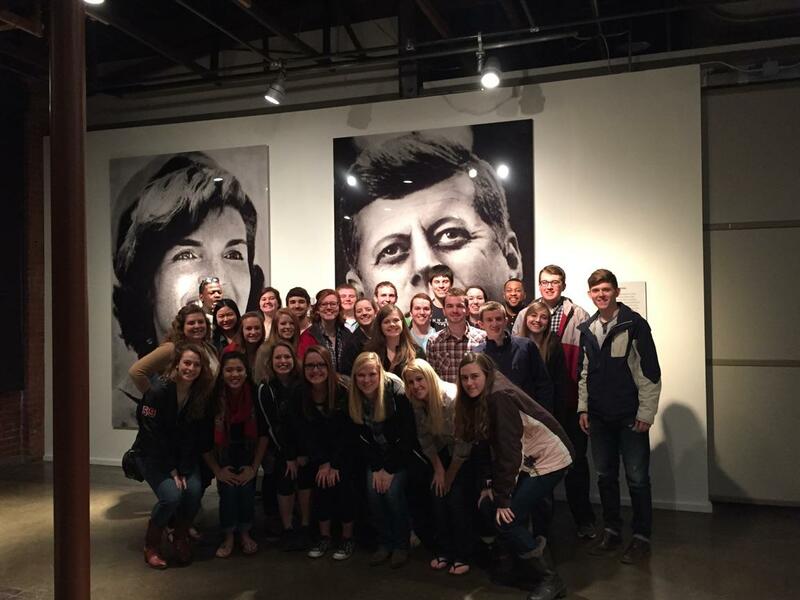 On our agenda is a tour of the JFK museum and an evening at the stock yard. Look out for a recap tomorrow; until then, goodnight! 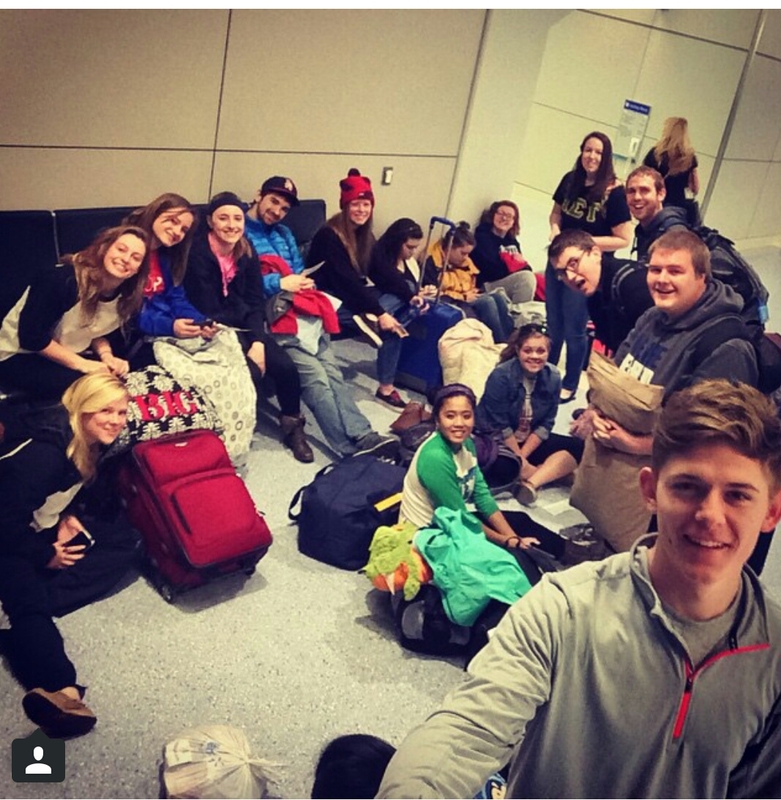 Today, twenty-four students and four advisors will embark on Alternative Spring Break 2015. This year’s adventure will take us to the heart of Texas: Dallas. 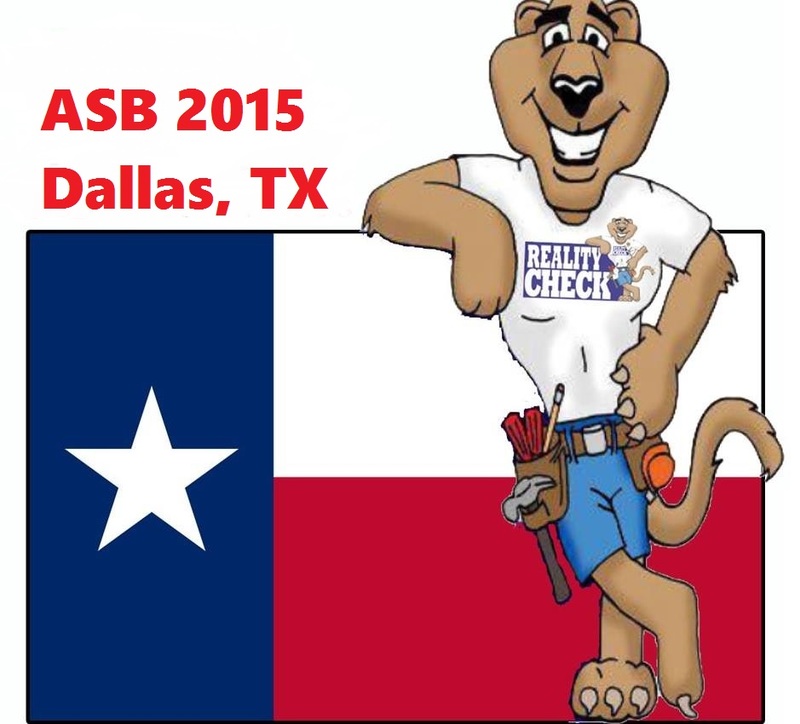 While in Dallas, we will be working with C2K. Since its beginnings in 2002, C2K has served as an inner city retreat and mission center, providing help to those in need. One of their main goals is matching the volunteers with the activities, so they offer a variety of ways to help the community. During our work days, we look forward to improving the facilities at Cockrell Hill Methodist Church, which has been a predominant part of the community since 1913. With free time, we hope to explore the city, soak in some sun shine, and take in some southern culture! We couldn’t be more excited for our adventure to Dallas. Please check back and follow us on our journey.